OPPOSITION and administration House leaders have joined forces in proposing the need for the Department of Energy (DOE) to look for alternative sources of energy instead of making people pay billions of pesos in granting President Benigno “Noynoy” Aquino III emergency powers to address the alleged electricity shortage during the summer months of 2015 in Luzon. House independent bloc leader and Leyte Rep. Ferdinand Martin Romualdez and House Majority Leader and Mandaluyong City Rep. Neptali “Boyet” Gonzales II said Energy Sec. Jericho Petilla should explore other options to deal with the purported electricity shortage to spare the affected consumers from paying P6 billion for 300 megawatts (MW) of contracted electricity under the proposed emergency powers for the President. “Our electric consumers are already heavily burdened, why allow them to pay billions of pesos when we can explore other options and alternatives? Why cross a dangerous and zigzag road when consumers are expected to experience a bumpy ride in the proposal? Romualdez asked as Petilla argued that the government plans to address the 300 MW projected deficit for next year and additionally generate another 300 MW in power reserves. Even Gonzales, who chairs the House committee on rules and a stalwart of the ruling Liberal Party (LP), agreed with Romualdez in opposing the request of Petilla for President Aquino to contract energy through the Power Sector Assets and Liabilities Management Corp. (PSALM). Gonzales warned that the proposal for emergency powers will face rough sailing in the House of Representatives. “Is there really a credible basis for Congress to give President Aquino the special authority (emergency powers) to contract additional power? This proposal will face a fine-tooth-comb scrutiny,” Gonzales explained. 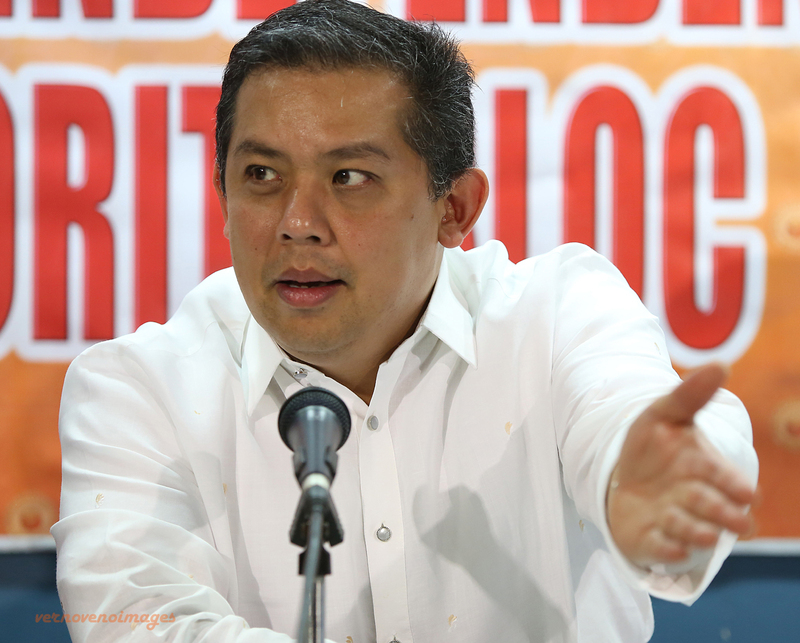 Romualdez said Petilla should adequately support his recommendation for emergency powers because Congress will be blamed if there would be no electricity shortage next year and affected consumers will be made to pay the huge amount for additional electricity. “This is a very serious matter that Congress should address with caution. Congress will heap the blame should the alleged electricity shortage does not happen and people will pay the additional contracted electricity,” said Romualdez. Gonzales said he was informed along with Speaker Feliciano “Sonny” Belmonte Jr. about the DOE proposal of giving some incentives to malls and other big business establishments in exchange of giving an estimated 1,000 megawatts (MW) for electric consumers from their generators. Aside from this, Gonzales said Petron Corporation can provide an additional 125 MW and another 100 MW from a natural gas that would begin operating before yearend. “We have other options to take and our concerned authorities should seriously consider these,” Gonzales stressed. On September 11, President Aquino formally asked the House of Representatives to give him emergency powers to solve the imminent power crisis next year by entering into contracts to establish additional generating capacity. Nevertheless, Belmonte said the House of Representatives will immediately pass the resolution for emergency powers of the President. Oriental Rep. Reynaldo Umali, who chairs the House committee on energy, vowed to pass by end of October the resolution for emergency powers for the President as guaranteed by Electric Power Industry Reform Act (EPIRA). In his letter to Belmonte, President Aquino cited the power in accordance with Sec. 71 of Republic Act No. 9136 or the EPIRA. “I hereby seek the immediate enactment of a joint resolution authorizing the President to establish additional generating capacity,” the President said in a two-page letter. It stressed that the Malampaya natural gas facility in Palawan is expected to shut down from March 15 to April 14, 2015. “There is no gain saying that the imminent electric power shortage during these months is a real threat to the country’s growing economy and the general welfare of the people,” President Aquino said.